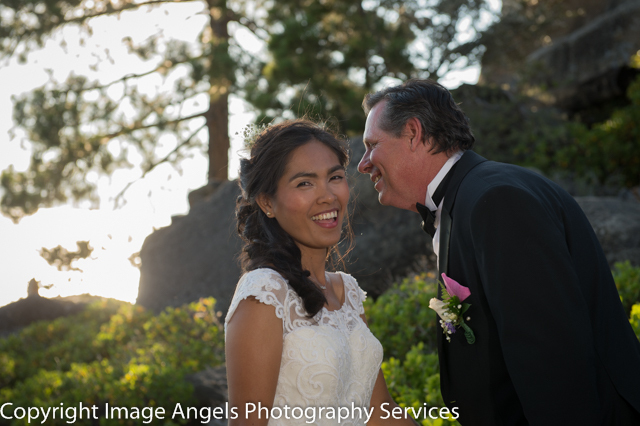 Confessions of a recent bride…or….the top ten things to make your wedding day go smoother. I got married a few days ago. In the 30 years I've been in the wedding business, I've literally done over a 1000 weddings. You would think I would have it down by now. I've long known that brides leave their brains at home when they get married. It is part of their charm. I've learned to take care of them, and I enjoy that part of the job. I didn't think I would leave my brain at home on my wedding day, but I did. So, to help you on your own wedding day, I've compiled a list of things to help make your day go smoother. Posted in Uncategorized. 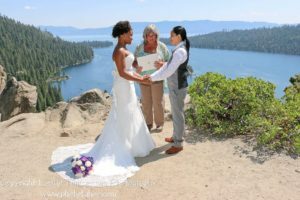 Tags: make your wedding day go smoother, top ten list of things to do for your wedding, unique weddings in Tahoe, weddings outside the box on December 21, 2017 by metawoman. More of YOUR wedding, YOUR way! We don't care where you want to get married, we just want you to have a good time while doing it! 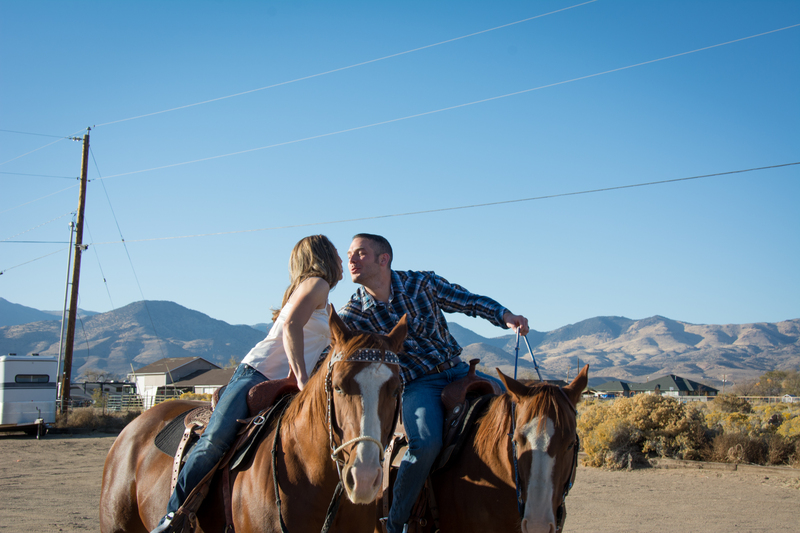 So when Stephanie contacted me and asked if it were possible to get married on horseback, of course I said yes! They had a small wedding, with only the "barn girl" in attendance as witness, and to take a few snapshots during the ceremony. It was perfect! 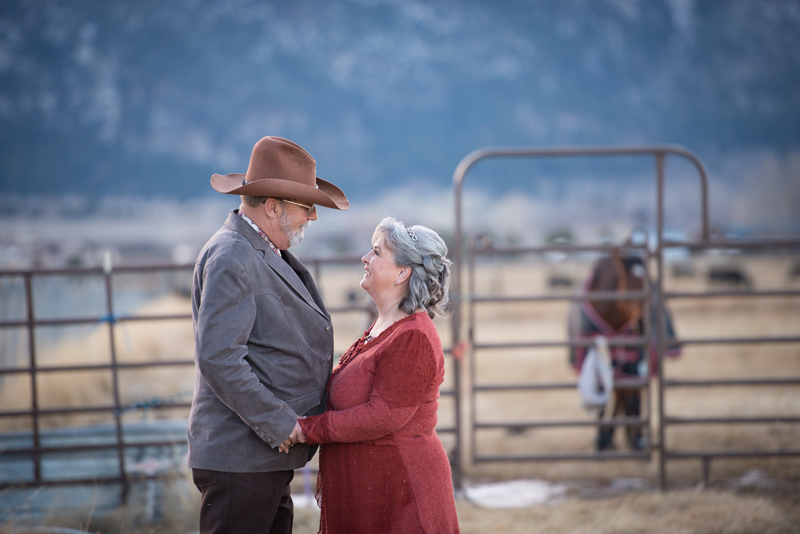 No matter where you want to get married, chances are we can go there and get it done for you, with a sense of fun as well as that sacred specialness that every wedding deserves. Posted in Uncategorized. 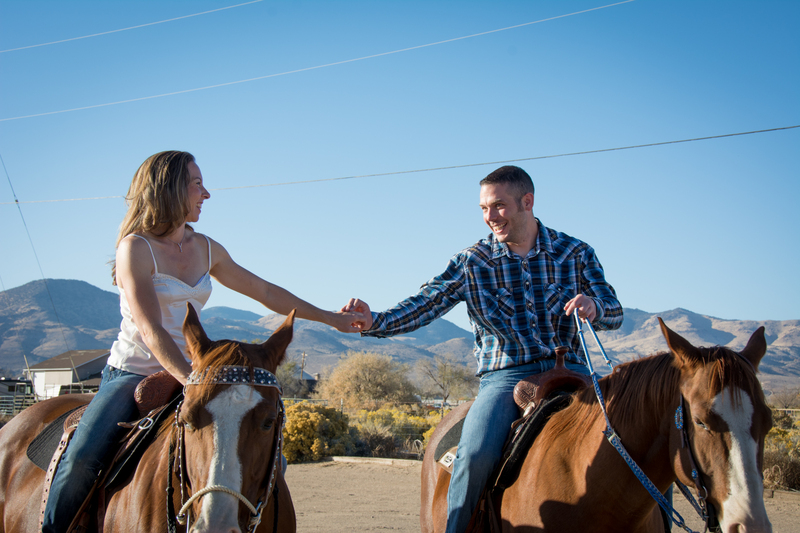 Tags: Carson Valley weddings, wedding on horseback on November 2, 2017 by metawoman. Gone are the days when you had to have even numbers of bridesmaids and groomsmen at weddings. Gone are the days when the wedding date was dictated by the first Saturday in June after school let out. Gone are the days when you have to have traditional language in a wedding ceremony. Today, anything goes at weddings. I've been to weddings where the groom jumped out of a parachute to greet his bride in a meadow. 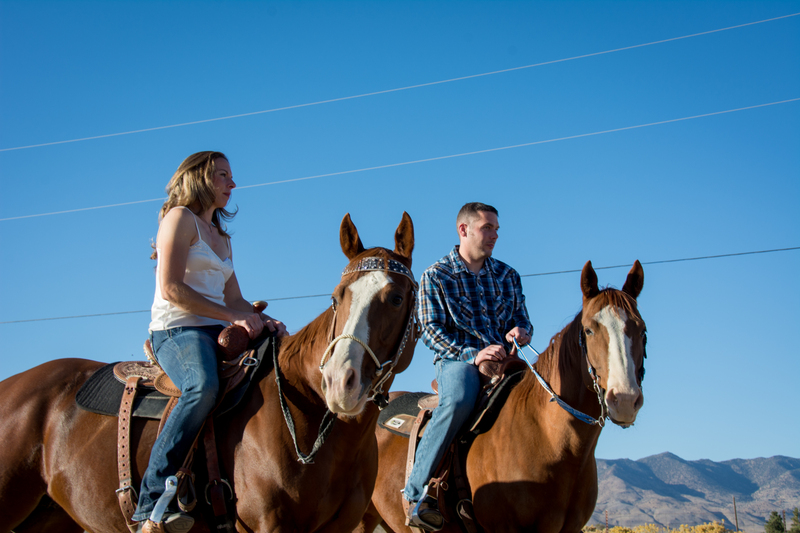 I've been to weddings where the bride rode in on a horse to greet her groom. I've done weddings in hot air balloons, on boats, on snow skiis, in meadows and on beaches. I've done weddings on ranches and in the fanciest venues. 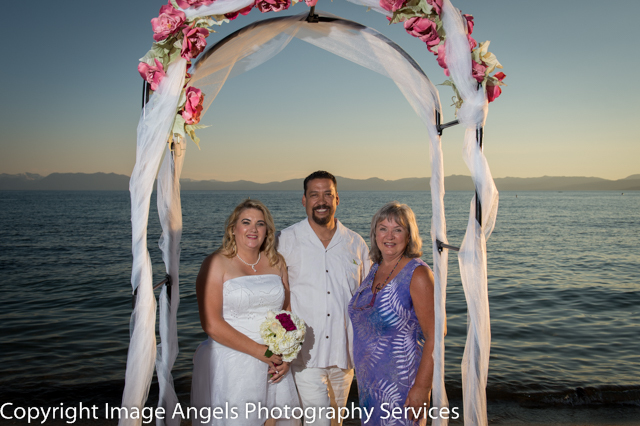 I've done weddings with just the bride and groom there (photographer was the witness on the wedding license!) and weddings with hundreds of people. The point is that your wedding can be as unique as you are. What is your dream for your wedding? An experienced professional can help you achieve that dream! 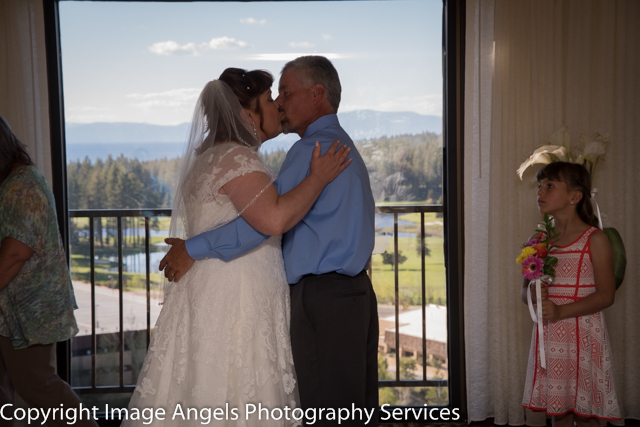 Contact us today to share your vision of your wedding, and find out how we can help! Posted in Uncategorized. 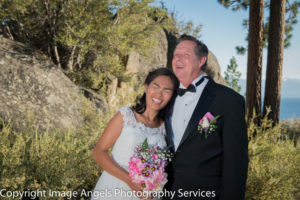 Tags: Carson Valley weddings, intimate wedding Lake Tahoe, Lake Tahoe wedding minister, Lake Tahoe weddings, location weddings, your way, Your wedding on October 24, 2017 by metawoman. 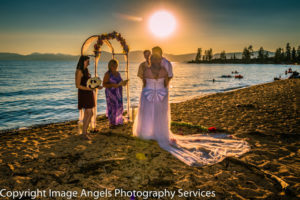 If you are planning an intimate wedding and would prefer an indoor location to an outdoor one, there are some wedding chapels in the Lake Tahoe area that are available for you to rent. Larry and Angele contacted us and asked for help finding a venue. They wanted indoors, because it was early spring and, being locals, knew how changeable the weather could be. After some discussion, some emails showing them photos of various possibilities, they chose the wedding chapel at Mont Bleu as their venue. 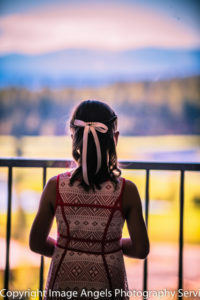 We talked about what kind of ceremony they wanted and got some details for customization, as well as their choices for readings during the ceremony. They also used our excellent photography company, Image Angels, for photography at their wedding. 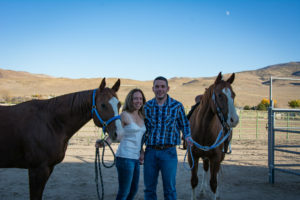 We don't always need to help our couples find a venue, but we are happy to do so! Posted in Uncategorized. 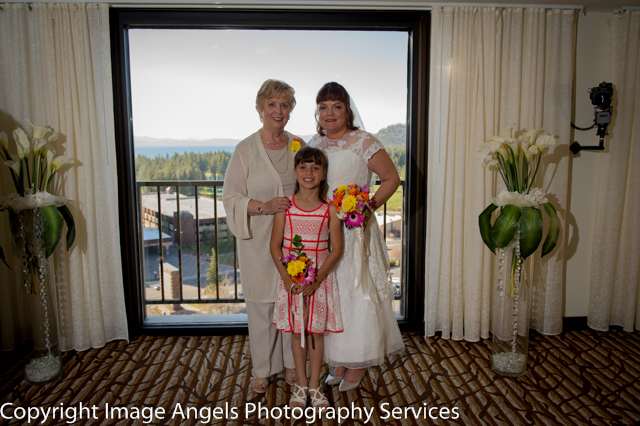 Tags: Image Angels Photography Services, intimate wedding Lake Tahoe, Mont Bleu wedding chapel, wedding minister lake tahoe, wedding officiant services on September 4, 2017 by metawoman. Weddings all OVER the Place! This has been one of the busiest Julys in a very long time for Chapel of the Pines! 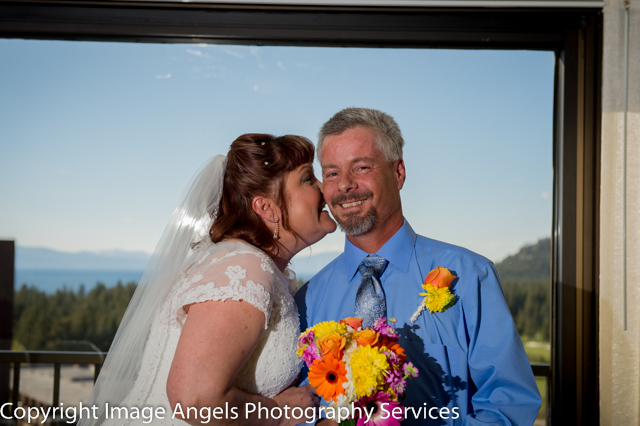 In the last few weeks we've been to the Top of the Tram at Heavenly in Lake Tahoe, Emerald Bay, Sand Harbor, Logan Shoals Vista Point, a private home in Reno and Revive Coffee and Wine in South Lake Tahoe to do weddings. 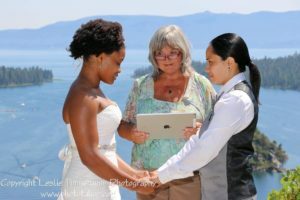 We've done two same gender weddings and one last minute elopement. Yep, they called in the morning and we did the wedding in the evening. We've done religious weddings and not religious weddings and some in between. Some had Sand ceremonies included. We've done large weddings, small weddings and weddings where we needed to provide a witness for the wedding license. 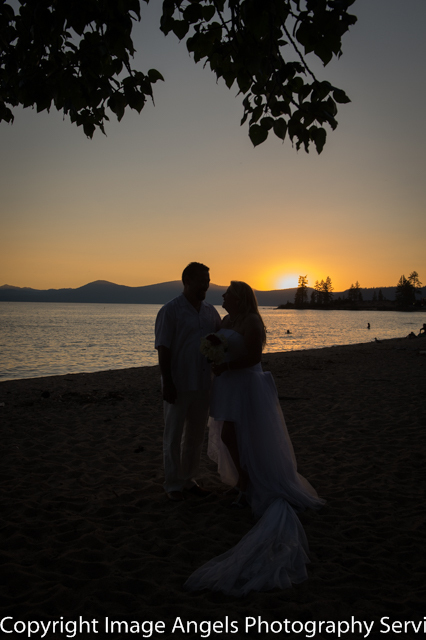 It doesn't matter where you are getting married, or whether you are planning a year in advance or eloping, we will come to you and deliver a personalized wedding ceremony, custom tailored to your specifications! I just had a MoB (mother of bride) call and ask about our services. Seems her kids were thinking of getting married at a drive through place, and she really didn't want to see that happen. Yes, she was talking about where you stay in your car, drive up to a window, someone does a canned ceremony and you are married. For $150. I happen to think weddings should be much more special than that. Weddings are a metaphor for a relationship that is rich in all kinds of yummy stuff: the commitment changes people, the promises free them, the day to day life together teaches them things. The ritual of the wedding ceremony is....or should be, as rich as the marriage will be. Does it cost more? Yes. But years later you will only remember the specialness of the day, not the cost. If you get married at the drive through, what will that say about the marriage years later? 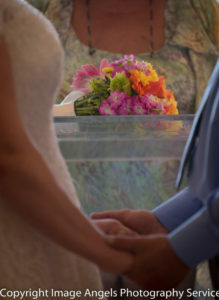 Contact us if you want a special wedding ceremony that will provide you with fond memories for years to come. Posted in Uncategorized. Tags: Lake Tahoe wedding minister, lake tahoe wedding photography, Lake Tahoe weddings, weddings at Heavenly, weddings at Sand Harbor, weddings in South Lake Tahoe, weddings on the beach on July 27, 2017 by metawoman. 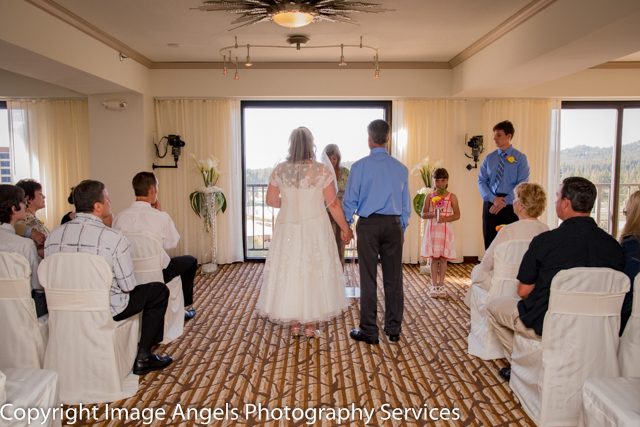 Even Elopements deserve great photography and a special ceremony! Leisa and Terry came to Chapel of the Pines about a month before they wanted to get married, and, after some discussion, decided they wanted to get married overlooking beautiful Lake Tahoe on a great spring day in May. Well, spring in Lake Tahoe isn't like spring in other areas. Terry called five days before the wedding expressing his displeasure with the weather. Not to worry, since it was just the two of them we were able to reschedule the ceremony and they ended up with an absolutely gorgeous day! Good thing, because the next day it did indeed snow during the time they had originally scheduled. I love it when it works out like that! 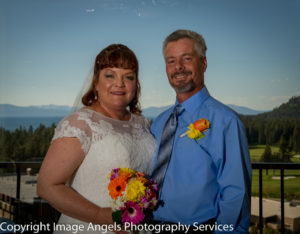 Both Terry and Leisa said they were both believers in second chances, and since their courtship was founded on a second chance, we incorporated that into their ceremony as well. 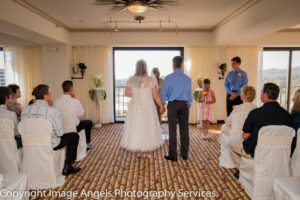 They knew that a few snapshots were not going to be sufficient, saying they wanted special, so we scheduled Image Angels to come out and photograph the wedding. 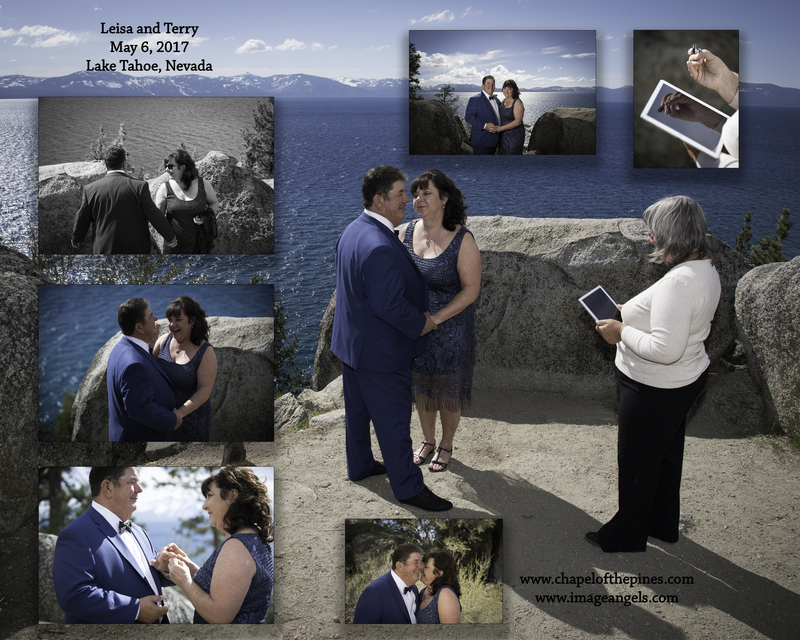 Congratulations to Terry and Leisa! Posted in Uncategorized. 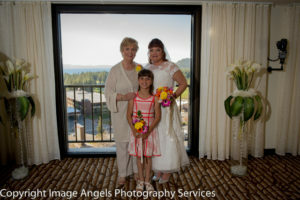 Tags: lake tahoe wedding photography, Lake Tahoe weddings on May 16, 2017 by metawoman. 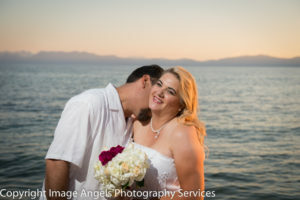 We specialize in on location weddings. This means we will follow you to where you want to get married! On top of a mountain...you got it. On a boat, we are there! 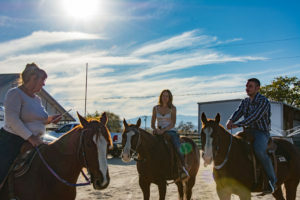 On a ranch, a big yes to that! Beaches, resorts, hotel rooms, private homes. Let us know the time and place, and we are there. 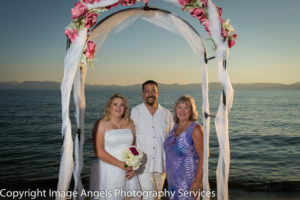 We also specialize in custom ceremonies. Completely custom, not a template with a couple of chosen verses thrown in. 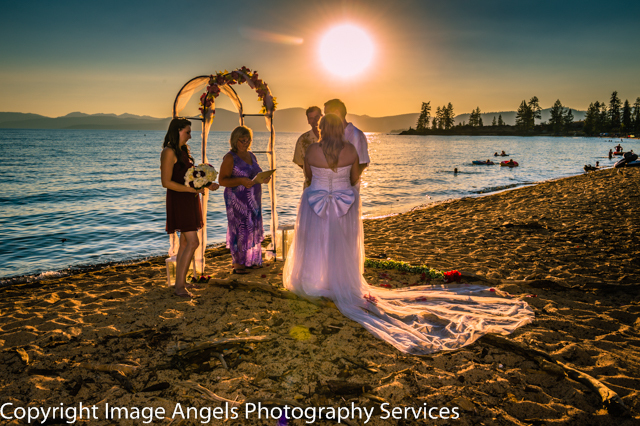 And we have partnered with Image Angels Photography Services to provide you the very best in wedding photography! Posted in Uncategorized. Tags: Carson Valley weddings, Lake Tahoe weddings, wedding officiant services, wedding photography on February 19, 2016 by metawoman.